Our current business titles include Commercial Contracts: A Practical Guide to Deals, Contracts, Agreements and Promises (2001) and Fundamentals of Upstream Petroleum Agreements (2008). Chris Thorpe's latest book is essential reading for those in the oil and gas industry who are involved in negotiating or implementing upstream petroleum agreements. 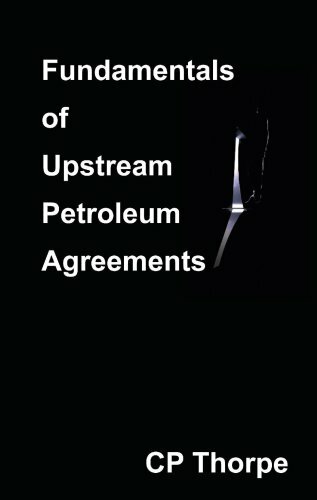 It gives the reader an overview of upstream agreements, focusing on technical and commercial realities and using real examples. In particular, the book examines grants of rights, joint venture agreements, supply and construction contracts and agreements for the transportation and sale of production. Fundamental of Upstream Petroleum Agreements will be of value to newcomers to the upstream who want and introduction to the subject and will also be of interest to more experienced practitioners. The law of contract is the legal framework within which all business activity is conducted. It is vital for those in business to understand its basic principles and their commercial implications. Many businesses, however, evidently still believe that in the absence of a signed document no contract can exist, and may routinely sign documents that contain small print. 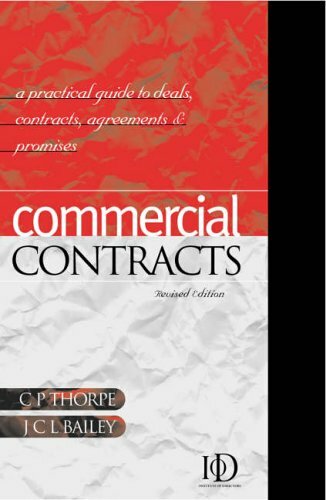 Commercial Contracts provides an accessible guide to the basic principles of contract law and places them clearly and concisely in their commercial context. Using real examples, two practicing lawyers introduce English contract law, assuming no prior knowledge of the subject. They highlight areas where practical problems arise and examine possible solutions, with the aim of showing not only how to recognize these problems but how to deal with them in practice. CPTL has published a number of books on commercial subjects and in other spheres. As a result, we have a wealth of experience in publication and enjoy strong relationships with our print partners, who provide a fast an cost-effective solution to printing. We are always happy to discuss opportunities with authors from the business community. To view additional CPTL publications please click here. We provide specialist advisory services to the upstream oil and gas industry. We organise and run a number of worldwide courses on legal and commercial subjects.